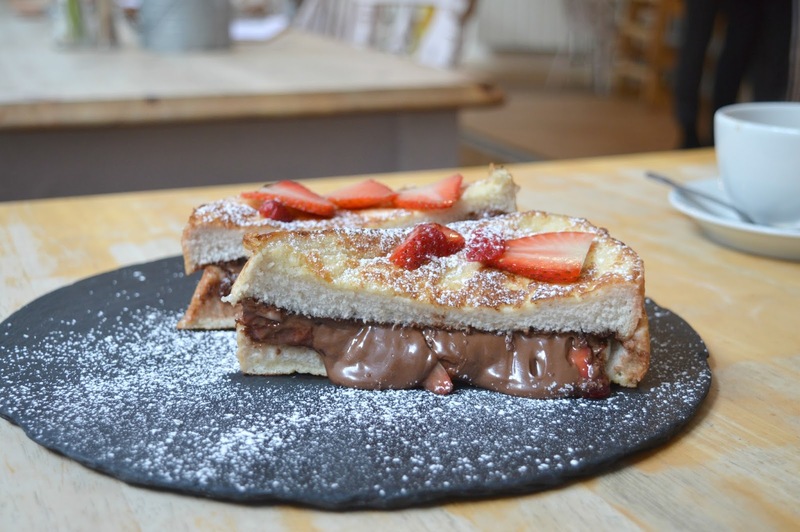 The Great British Cupcakery - The Naughtiest Breakfast in Newcastle! Usually I'm all about a healthy and balanced breakfast. Week days are about regaining control after a heavy weekend and a boring adult bowl of porridge and fruit usually sets me up for the day ahead, so erm, how did I end up having the naughtiest breakfast in Newcastle at the Great British Cupcakery on a Monday morning? When Simon and I found ourselves in Newcastle on my birthday there was only one place I wanted to head for a naughty breakfast - The Great British Cupcakery of course! Every birthday girl needs a Unicorn Milkshake to start her day am I right? 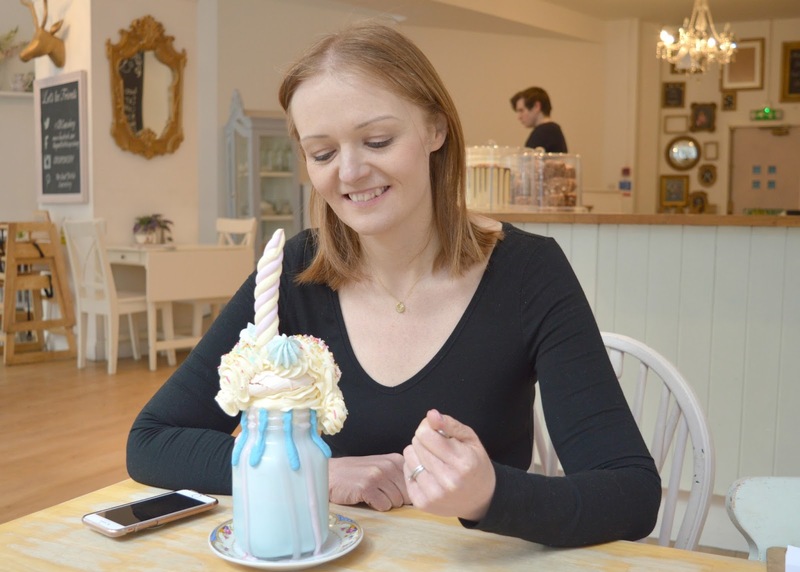 Whilst you'll find all of the usual breakfast type dishes on the menu at The Great British Cupcakery, for me visiting Newcastle's cupcake hot spot is all about eating naughty things covered in sugar, sprinkles, chocolate and cream and breakfast is no exception. I had been wanting a Great British Cupcakery Geet Big Shake (the Geordie version of a Freakshake) ever since they first started appearing on Instagram but trying to bag yourself a table is near enough impossible over a weekend so having the opportunity to visit on a Monday was just too good to resist, we practically banged down the table at opening time and actually took our seats before they'd even finished filling the cake counter. 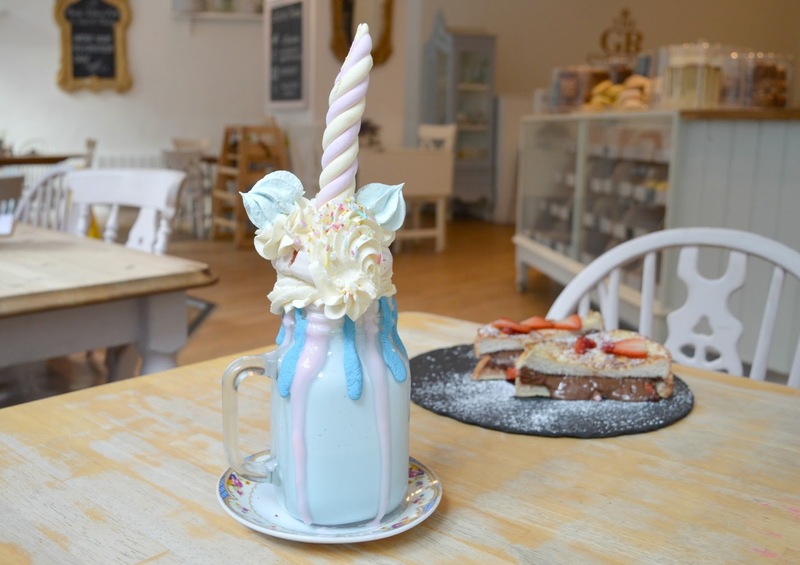 When it comes to Freakshakes the Great British Cupcakery is always introducing shakes even crazier than the last to satisfy the sweet tooth. There is no question that they definitely serve up the very best freakshakes in Newcastle, I'm pretty sure even people who would never dream of taking photos of their food can't resist taking a few sneaky snaps when the Geet Big Shakes appear. When this stunner turned up at my table I almost cried sugary tears of happiness, I mean look at it! Armed with two spoons and a straw I set to work demolishing my shake (after taking the obligatory hundred photographs of course!) with Simon looking on with amusement. I don't think he actually thought that I would be able to finish it. I say it was a sensible breakfast, it wasn't really, it was huge and definitely a very naughty breakfast (pretty sure the addition of the strawberries didn't make it any healthier!). I've never seen such a huge spread of Nutella in my life and a few friends I know who love to eat Nutella out of the jar (mentioning no names!) will definitely need to go and try this one. There was so much chocolatey gooeyness in the french toast it actually wedged Simon's mouth shut - I've never known him to be so quiet! 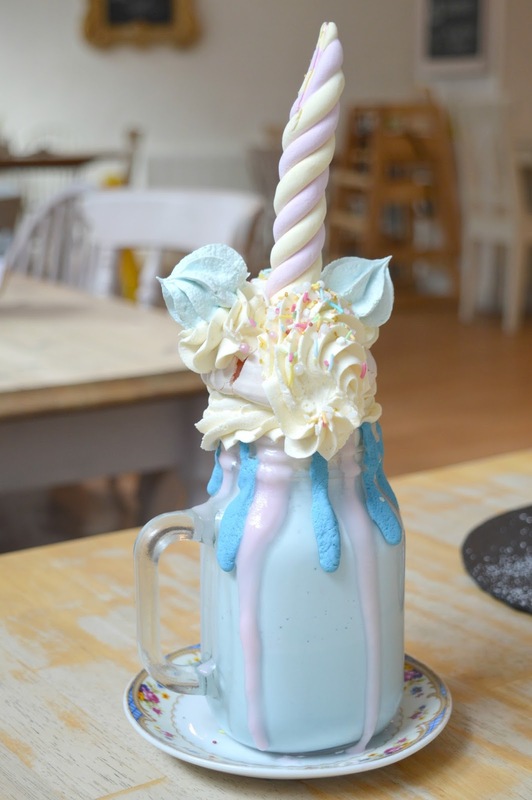 Whilst I do not encourage you all to eat so much sugar for breakfast (unicorn milkshakes are definitely special occasion breakfast! 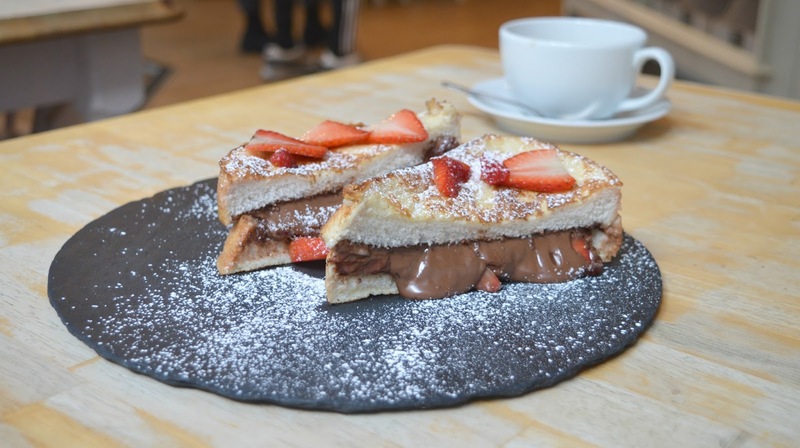 ), for a treat The Great British Cupcakery definitely serve the finest and naughtiest breakfast in Newcastle. I couldn't see straight for the rest of the day! HA! I'm glad I'm not the only person able to do crazy things like that .. I don't know where I put it all! Ridiculous is a very good word for it! I still can't believe I had it! Oops sorry!! Definitely up for a coffee date ... always great to have an excuse to visit and order ridiculous things off the menu! Sounds like a plan .. definitely don't take the 5 year old .. he'd be bouncing off the walls! OMG that sounds so good! I'm unicorn obsessed, anyone would think I'm 7! Wowsers , this place looks incredible! Your shake is truly a thing of beauty!